Hvizdalek and will be working together as a quintet starting from 2017! Back to the album: Most Intimate is a collaborative album which portrays the four original members as ensemble players, soloists, composers and improvisers. 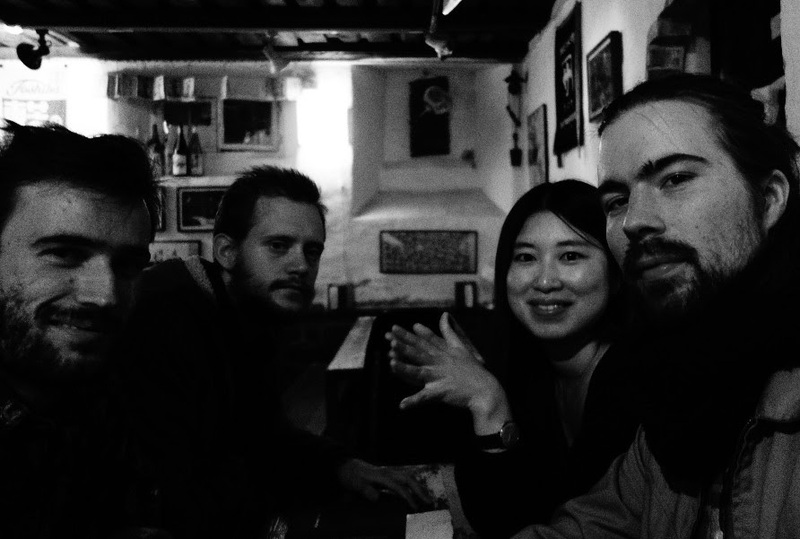 The whole record is an exploration of the phrase Most Intimate and what that phrase means for Ayumi, Andreas, Adrian and Christian through the lense of playing, writing, composing and relating to both the known and unknown. 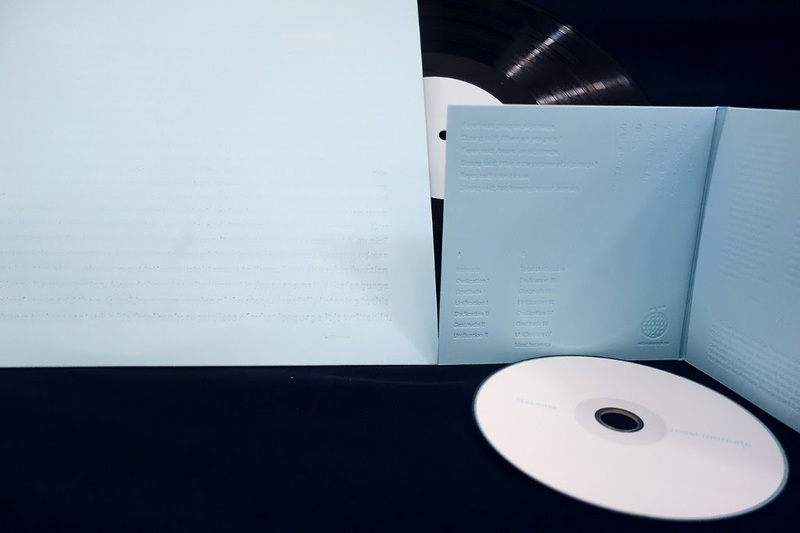 The physical record is made with beautiful thick Caribic blue paper, and the liner notes is embossed into the actual cover. 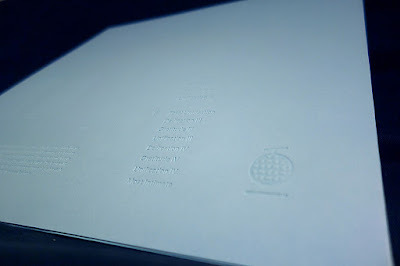 It looks, feels and sounds fantastic! 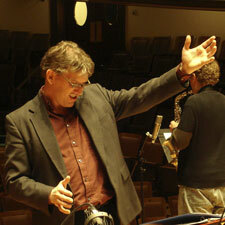 "Ken Schaphorst's compositions make use of all the flexible resources of the jazz orchestra." Composer/bandleader Ken Schaphorst, chair of the Jazz Studies Department at New England Conservatory since 2001, pays tribute to some of his most profound influences on his fourth big band release, How To Say Goodbye. 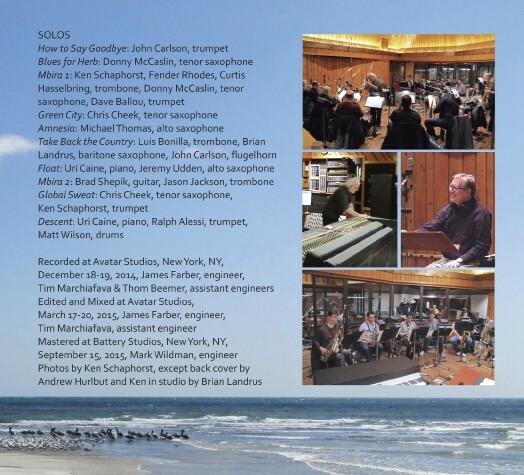 The deeply moving and wide-ranging album includes homages written in honor of jazz and education visionaries Bob Brookmeyer and Herb Pomeroy, both of whom went from mentors to NEC colleagues during Schaphorst's tenure at the Conservatory. Those compositions join an emotional ode to another formative influence, Schaphorst's late grandmother, in a richly diverse set that draws on influences from Ellington and Gerry Mulligan to African mbira music. 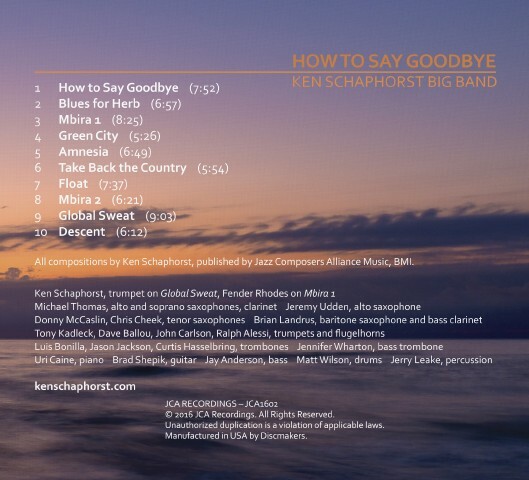 How To Say Goodbye, due out December 2 on JCA Recordings, features an all-star lineup, many of whom can trace their relationships with Schaphorst back to his earliest large ensemble efforts 30 years ago. Veterans of the composer's True Colors Big Band like tenor saxophonist Donny McCaslin, trumpeter John Carlson, trombonist Curtis Hasselbring and percussionist Jerry Leake sit alongside rising stars like saxophonists Brian Landrus, Jeremy Udden and Michael Thomas who studied with Schaphorst at NEC and played some of these pieces in student ensembles during that time. The ensemble is also studded with current and past colleagues from the NEC faculty, including McCaslin, Leake, trombonist Luis Bonilla, guitarist Brad Shepik and trumpeter Ralph Alessi, as well as alumni including Hasselbring, trumpeter Tony Kadleck and bass trombonist Jennifer Wharton. 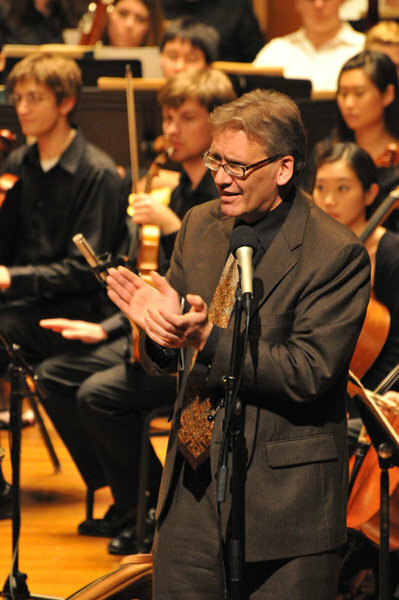 More than just a source for collaborators, Schaphorst says that his time at New England Conservatory has played a fundamental role in shaping his compositional voice. "These pieces have been profoundly influenced by my interactions withŠ many tremendously talented students," he writes in the liner notes. Of course, Schaphorst's music can't help but be impacted by the many long-lasting musical relationships represented on the album, many of which date back decades. "I've worked with almost every member of this band many, many times," he explains, "and all that history is imprinted on me. I've learned so much over the years from hearing these guys, and I think they've been influenced by hearing and playing my music. As I get older I realize how important and irreplaceable that is." 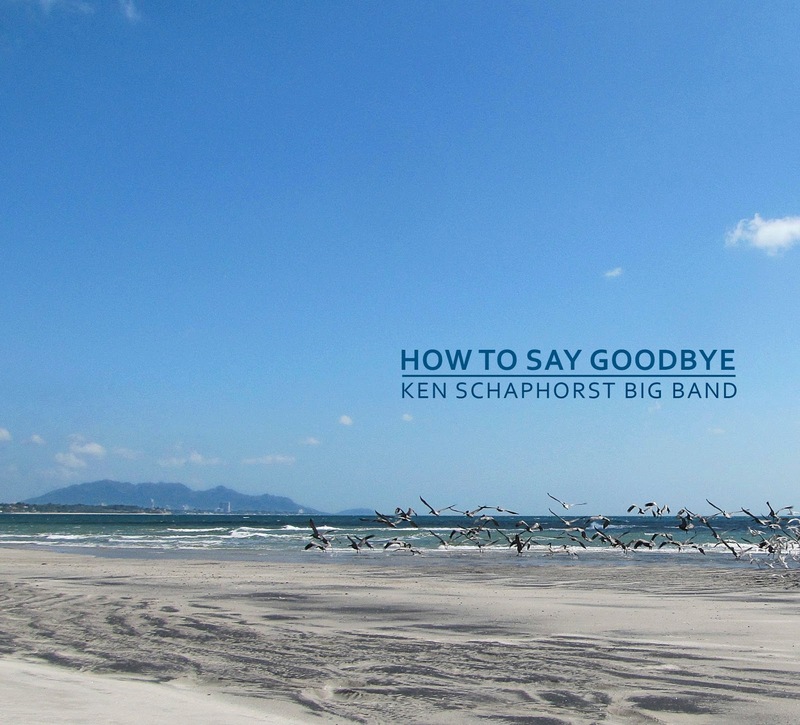 The results of such deeply-rooted and intimate knowledge is evident from the outset of How To Say Goodbye, which opens with the title track that Schaphorst wrote to feature trumpeter John Carlson. 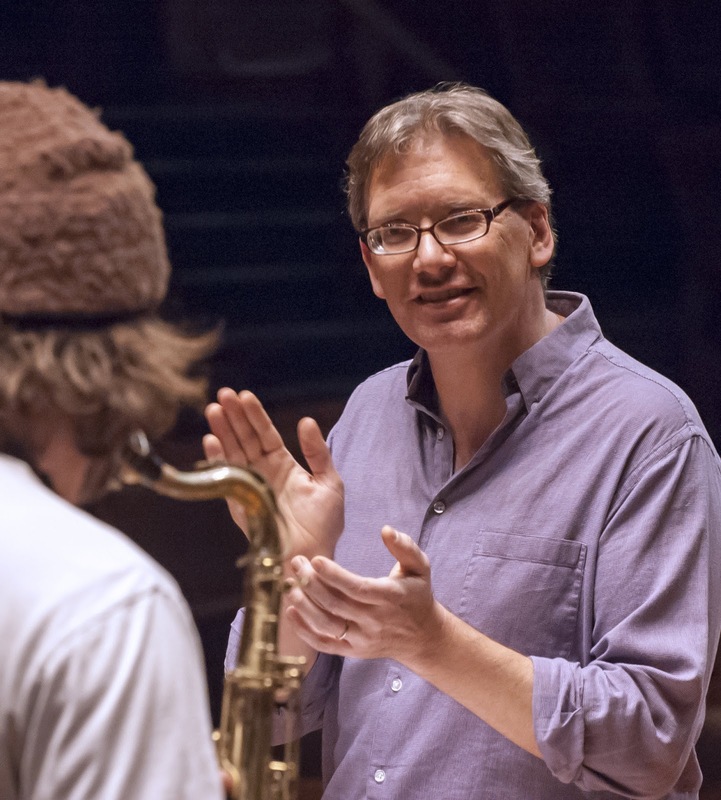 The composer describes the piece's constant changes and shifts as tracing an autobiographical tale, with fellow trumpeter Carlson playing a surrogate narrator. The varying tempos and moods play out as the up-and-down chapters of a relationship, and while the title becomes more sentimental over the course of a full album containing loving farewells to lost loved ones, in this case the abrupt and somewhat discordant finale suggests another, less polite way of saying goodbye. "It's not a happy ending," Schaphorst says with a laugh. The lush Ellingtonia of "Blues for Herb" was penned in tribute to influential trumpeter and educator Herb Pomeroy. 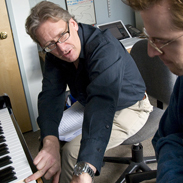 Schaphorst first encountered Pomeroy in a summer jazz studies program in 1979, beginning a musical relationship that would last for the remainder of Pomeroy's life. "I was blown away by him on a human level," Schaphorst recalls. 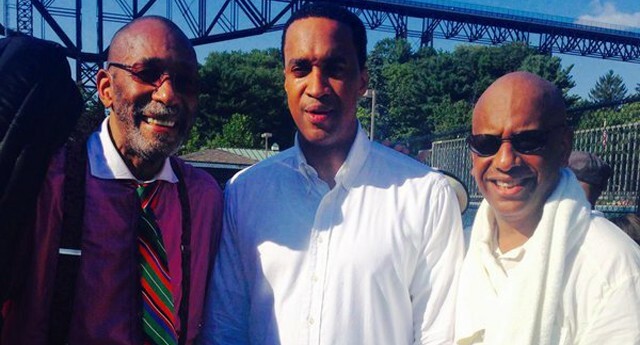 "He was an amazing educator and a very musical, sincere, lyrical player. I learned so much from him, and he was always very supportive of me and my music." 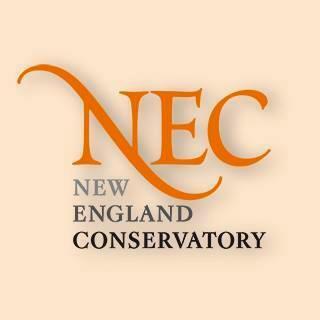 During his final years, Pomeroy coached jazz ensembles at NEC at Schaphorst's request. "Blues for Herb" is a showcase for the boundless tenor playing of Donny McCaslin, whose talents have been crucial to music by everyone from Maria Schneider to David Bowie. 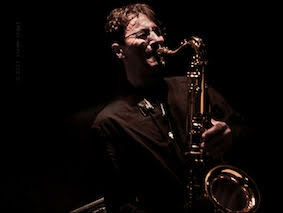 McCaslin was also a student of Pomeroy's, a personal connection that shines through in his jaw-dropping, virtuosic solo. The folksy shuffle of "Take Back the Country" is Schaphorst's homage to legendary trombonist/arranger Bob Brookmeyer, whom Schaphorst came to know quite well through their work together at NEC until Brookmeyer's passing in 2011. If the rhetoric of the title sounds over-familiar in this presidential election year, that's no accident - it's the composer's acknowledgement of Brookmeyer's outspoken political views, which found him actually buying property in Canada following the 2000 election (though he never ultimately made the threatened move). The folk-jazz inflections reflect music that Brookmeyer made with both Gerry Mulligan and Jimmy Giuffre. The swaying rhythm of "Amnesia" is inspired by Argentinean tango master Astor Piazzolla, but more importantly serves to memorialize Schaphorst's grandmother, who passed away in 2000 at the age of 90. Her memory was fading, the composer recalls, but she still loved to dance. A similar, if less mournful mood is summoned by "Float," a ballad whose name is self-explanatory as soon as one hears Matt Wilson's weightless rhythms and the soaring horn lines. Schaphorst essays a solo Rhodes intro to the first of two "Mbira" pieces on the album, both influenced by the characteristic rhythms of the African thumb piano. Integral to both is the percussion mastery of Jerry Leake, a colleague at NEC throughout Schaphorst's tenure and a crucial influence on the composer's integration of West African and Indian traditions into his music. Leake's tabla playing also adds an intoxicating texture to the album's closing tune, "Descent," offering an exotic atmosphere for Ralph Alessi's bold trumpet solo to explore. 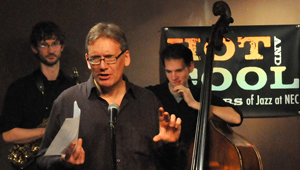 The gentle swing of "Green City" is a cheerful celebration of Boston, the city that Schaphorst has called home for much of his life - first through most of the 1980s and then, following a decade-long stint at Lawrence University in Wisconsin, since 2001 and his assumption of the Jazz Studies chair at NEC. Finally, the impressionistic "Global Sweat" is meant less as a comment on global warming, though Schaphorst has no problem with that interpretation, than as a vivid sonic depiction of a swelling storm, which finally breaks into a torrential group improvisation. With ten vivid, memorable pieces and an abundance of outstanding musicianship, How To Say Goodbye ends by suggesting one more way - leave 'em wanting more, and keep the door wide open for those we'll be happy to see again. 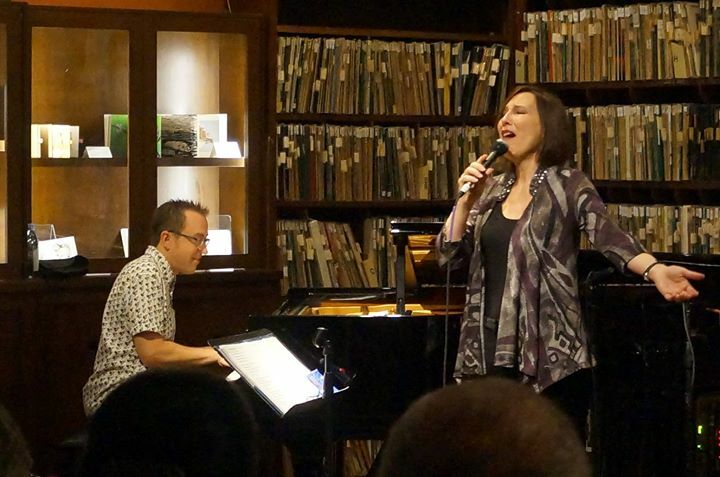 Kendra Shank and Geoffrey Keezer's musical association began in 2008 at the Athenaeum jazz series in San Diego, CA when a cancelled flight prevented Shank's New York pianist from making the gig. With just 30 minutes to rehearse, Keezer stepped in with a seamless performance and instant chemistry with Shank that inspired a standing ovation. Kendra called on Geoffrey's trio for subsequent West Coast tours and their musical connection deepened. In January 2015, while Geoffrey was in Manhattan on an engagement with Chris Botti, he and Kendra performed an afternoon concert at a friend's home. 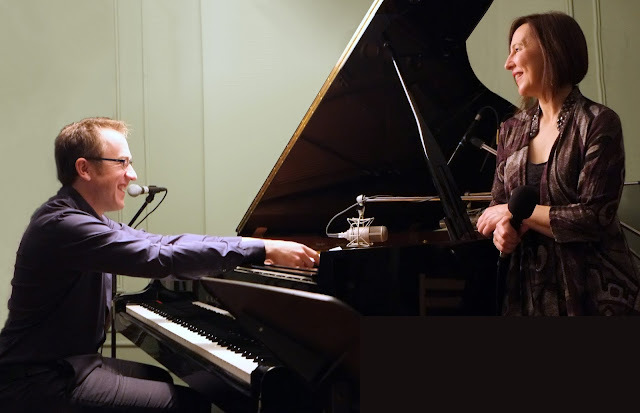 The intimate duo setting provided the pianist and vocalist unlimited freedom to create spontaneously in the moment, taking the enthusiastic audience on a magical journey that was captured on this Ride Symbol recording. The title song "Half Moon," inspired by a lamp hanging over the piano, was completely improvised and reveals Shank at her most vulnerable. Keezer's 88-key orchestra of harmonic and rhythmic virtuosity and Shank's exotic wordless vocalizations are highlighted in Cedar Walton's "Life's Mosaic," while the duo's lyricism shines in this first-ever recording of Jeremy Siskind's "Kneel" (winner of ASCAP's Herb Alpert Young Jazz Composers Award). The chart for "When Love Was You and Me" (Abbey Lincoln/Thad Jones) was given to Kendra in 1994 by her mentor Abbey Lincoln when Kendra visited her Upper West Side apartment -- coincidentally in the same building where this concert took place. Throughout this diverse and inspired set, Shank and Keezer embody the playful inventiveness of making music as interactive partners, transcending the singer-accompanist mold. 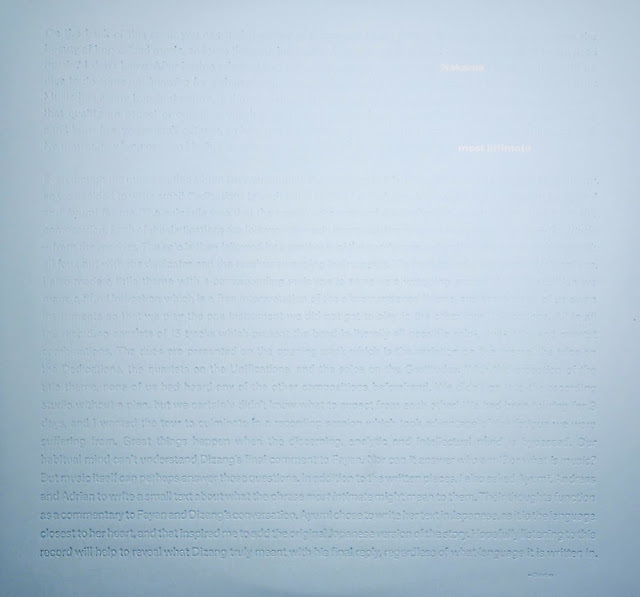 "Each time we collaborate brings joyful exploration and new musical discoveries," says Keezer in the liner notes. 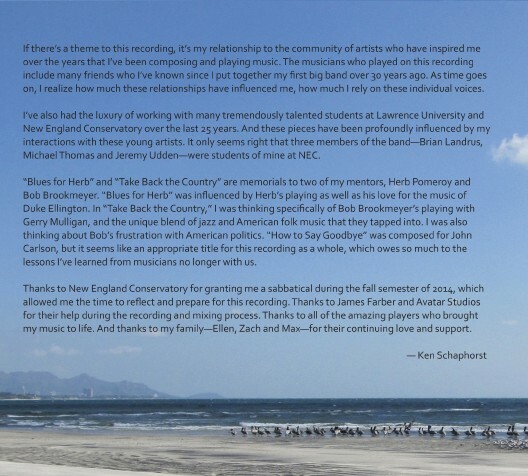 The album's executive producer, Donald Elfman, writes: "What a pleasure it is to hear jazz musicians who fully savor every moment: sharing their experience of creating, listening and playing off each other, and still improvising in individual voices." Sets at 8:00 and 9:30 PM. Admission: $20 general, $10 students. 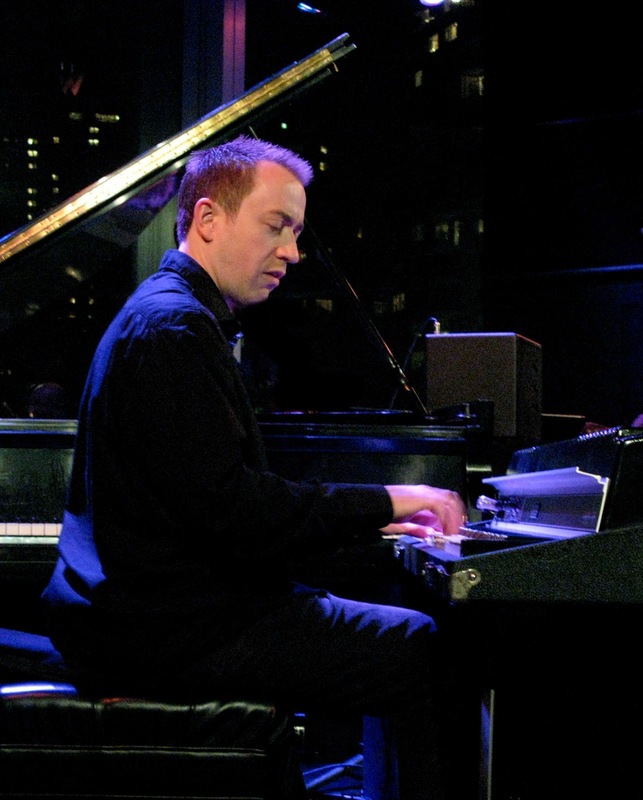 GEOFFREY KEEZER With his highly regarded discography, unique compositions, and acclaimed performances in a variety of configurations, Grammy-nominated pianist Geoffrey Keezer commands the attention typically reserved for the living legends of jazz. 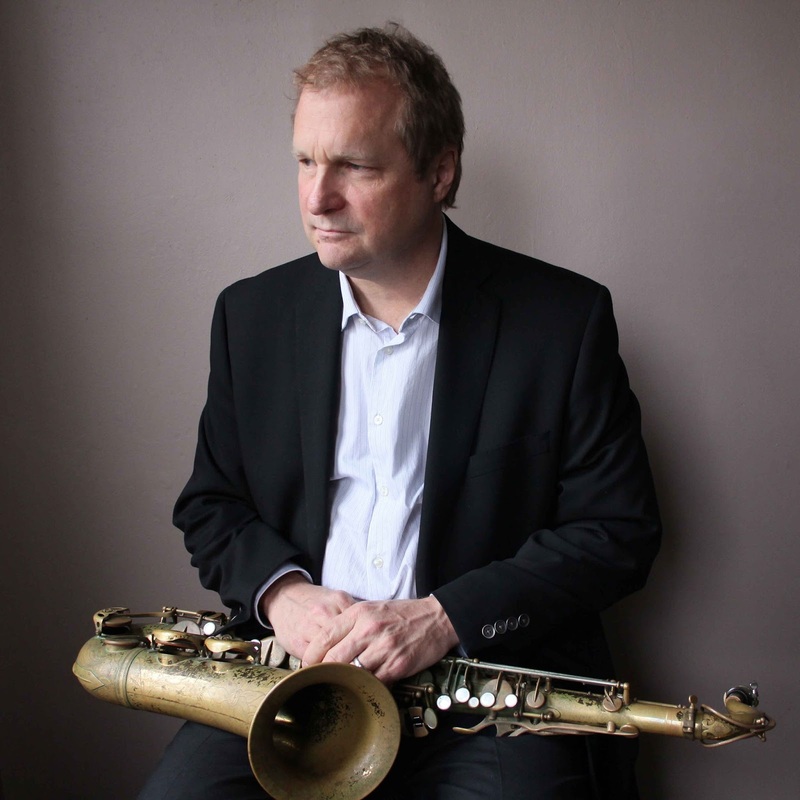 Whether recording with jazz vocalists Diana Krall or Dianne Reeves, touring with trumpet king Chris Botti, or collaborating with pop icon Sting, sax legend Wayne Shorter, guitar wizard Jim Hall, star bassist Christian McBride or vibes master Joe Locke, Geoffrey "has more than enough virtuosity and sheer musical wit and intelligence to weave all of his apparently disparate strands of influence into an original and compelling whole" (Time magazine). His recent release, Heart of the Piano (2013, Motema Records), redefines solo jazz piano as a personal and interactive showcase of melody, energy and groove. Geoffrey Keezer's singular style of intellectually abstract lyricism woven over exotically complex rhythms and harmonies makes him one of the most sought-after artists on the modern jazz scene. KENDRA SHANK Since her 1992 debut at the Village Vanguard with Shirley Horn, Kendra Shank has become a mainstay on New York's jazz scene, has toured in Europe, Asia, Africa, Australia, Canada and the U.S., and has appeared on NPR's JazzSet and Marian McPartland's Piano Jazz. 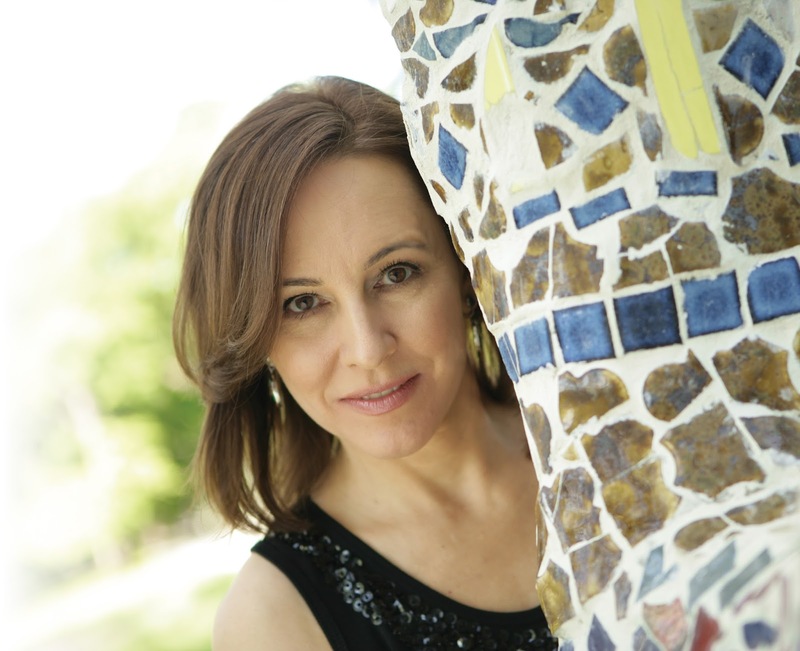 Her seven critically acclaimed CDs have garnered numerous “Best of the Year” citations and DownBeat poll recognition, with accolades for her "delectable voice" (Time magazine) and "breathtakingly original concept" (Boston Globe). In addition to leading her NY quartet of 16 years with Frank Kimbrough, Dean Johnson, and Tony Moreno, Shank co-leads a duo with guitarist John Stowell and has performed and/or recorded with Abbey Lincoln, Fred Hersch, Larry Willis, Joe Locke, Jay Clayton, Bob Dorough, Gary Bartz, Steve Wilson, Victor Lewis, Matt Wilson, Ben Monder and many more. Kendra Shank mixes modern jazz, standards, world music, folk/pop, and open improvisation, all unified by her soulful storytelling, inventive phrasing, and spontaneous group interplay. 6:00 & 7:45 PM sets. 55 Christopher St., New York, NY. 212-929-9883. Mário Santos e o seu quarteto bloco A4 convidam o guitarrista françês Nguyên Le a interpretar temas novos do próximo álbum. Nguyên Le tem uma vasta carreira que soma já mais de trinta anos desde o seu primeiro registo “Ultramarine” (1983), e o seu trabalho cruza as fronteiras do jazz em fusão com rock, funk, pop, avant-garde e música étnica. Já dirigiu e trabalhou com músicos conceituados em todo o mundo, viaja, escreve e transporta exotismo e diferentes cores para a sua música. 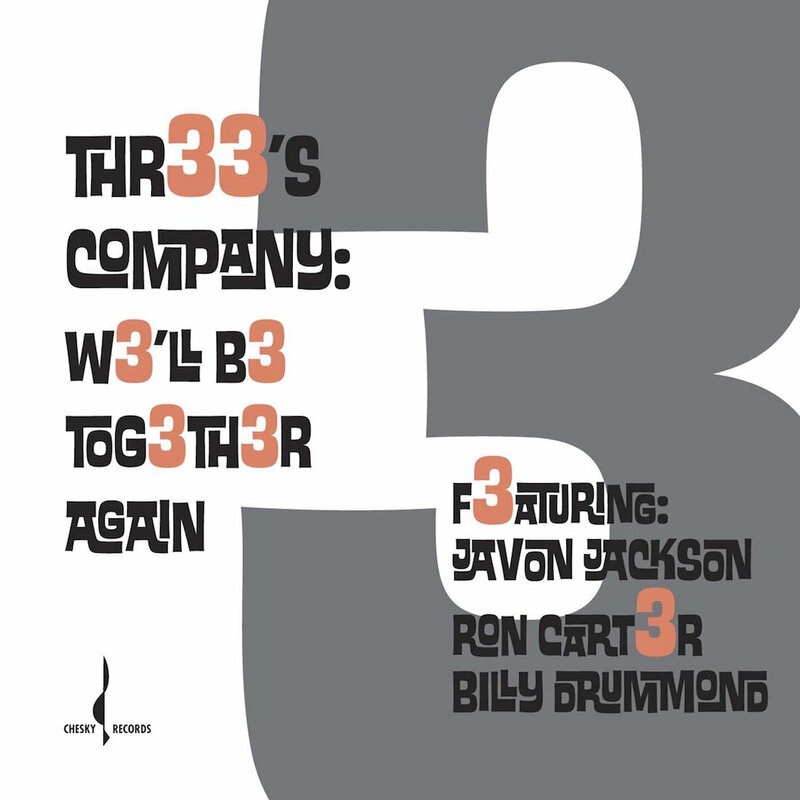 The shadows of the Sonny Rollins trio and Joe Henderson trio (both having recorded classic albums at the Village Vanguard) hover over this sparse, revealing trio outing with Jackson, Carter and Drummond. And like his sax playing elders, Jackson put his own stamp on a set of well chosen jazz standards while also showcasing a few originals. “Sonny being a big influence on me, obviously there would be some things in there that would be reminiscent, or have that spirit anyway,” says Jackson, who just hit the half century mark this June. And while playing without a chordal instrument was a challenge in some respects for the saxophonist, he explains that Carter’s presence more than made up for the absence of piano on this Chesky release. “Ron is kind of like a symphony behind you. He’s the bass player, but he’s the piano at times, he’s the drums and he’s out front with the melody. So he can be several things at once. With him there, there are so many colors that are available to me. Part of the Chesky Binaural + Series, all recorded with a single microphone, the band appears right before you with this spacious, lush and multi-dimensional recording. Now headphone users will hear the same three-dimensional sound and imaging as audiophiles have for the past 25 years with Chesky Recordings. Also, these new Binaural+ Series albums capture even more spatial realism for the home audiophile market, bringing you one step closer to the actual event. You will hear some of the most natural and pure Jazz music ever. Award winning Austrian drummer Bernd Reiter has already, in spite of his young age, played with jazz’s luminaries like Charles Davis, Kirk Lightsey, Mundell Lowe, Steve Grossman, to mention a few. 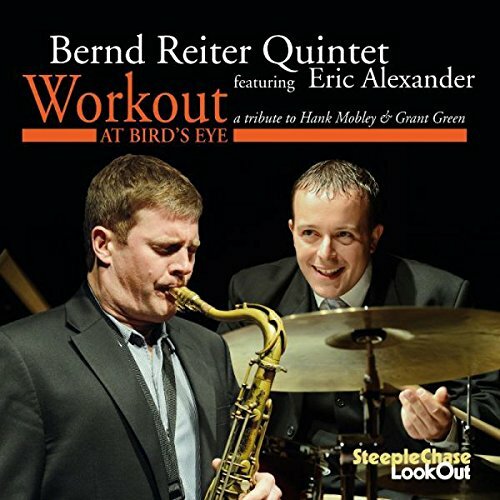 Reiter formed the quintet presented here in 2015 to perform a tribute program of Hank Mobley’s music featuring American tenorsax Eric Alexander whom he started to work with in 2012. The band’s extensive European tour produced this live album from the last two concerts from the Bird’s Eye in Basil, Switzerland. 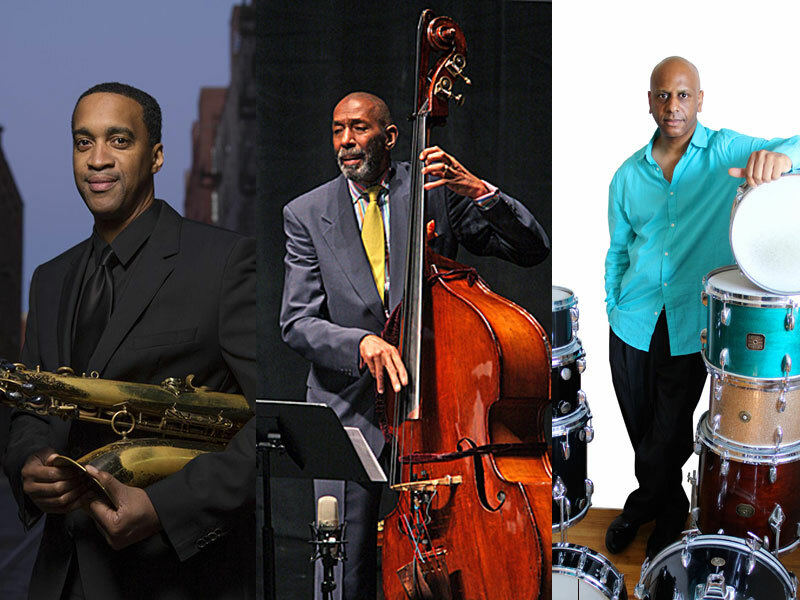 One of the reviews of the live performances simply put it “Jazz at its best!”. Recorded Live at Bird’s Eye, Basel February 27, 2015.